"Enhancing peace" Young lady helping a pigeon to fly high. 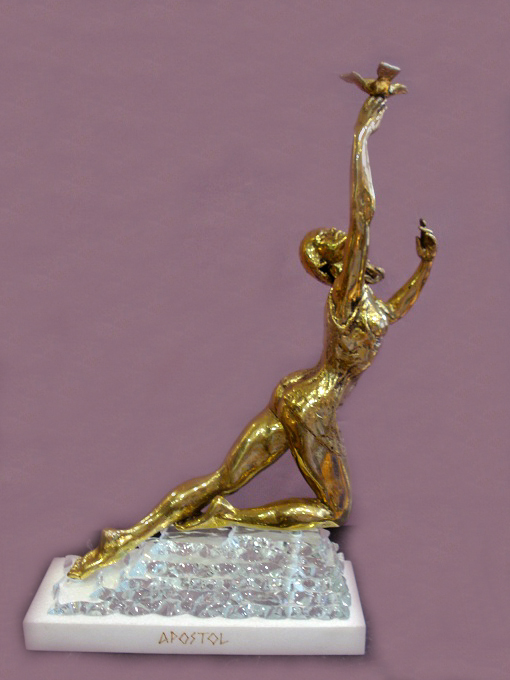 Original sculpture, hand made of pure bronze. Based on thick transparent crystal and white marble base.Crystal specially cut and elaborated to reflect light.